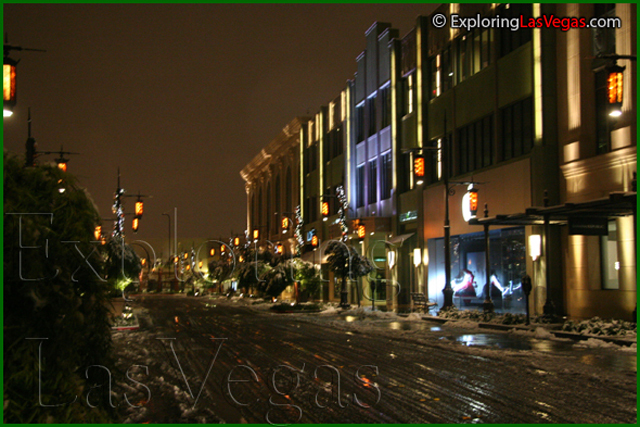 Town Square is without a doubt one of Las Vegas' prime shopping locations, located right on Las Vegas Boulevard. 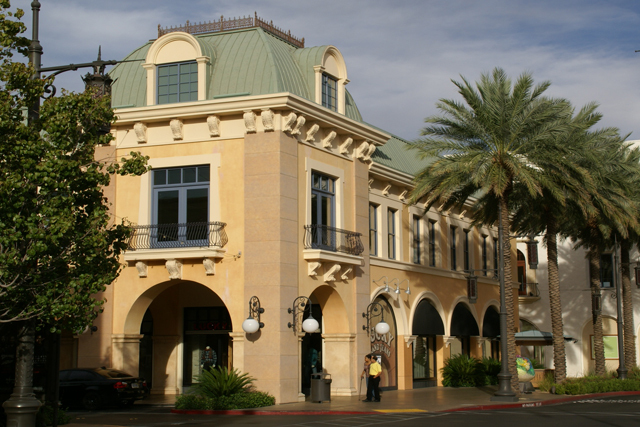 The variety of stores at Town Square is unparalleled in range, so locals and visitors alike look to it for their shopping expeditions. In addition to an Armani Exchange, there is an Abercrombie and Fitch. In addition to a BCBGMAXAZRIA, there is an Ann Taylor. However, clothes are not the only retail items available at Town Square. If you are in the mood to check out technological gadgets you can head to the Apple store. Bath and Body Works and The Body Shop are a great place to pick up lotions and other at-home spa supplies. You can even find a furniture and accessories store! The only way to get a true understanding of the scope of stores at Town Square is to go and investigate. If you get hungry while shopping, there are plenty of places to eat at Town Square. Pizza fans will love Anthony's Coal Fired Pizza, while sushi fans with enjoy Kabuki Japanese restaurant. Should you require alcoholic refreshment, Blue Martini offers not only drinks, but also a tapas menu. Bar Louie is a little more traditional as far as restaurant and bars go. It specializes in sandwiches and martinis. Town Square, with its myriad shops and restaurants, is a self-contained day trip. Further, it is perfect for those who think shopping in Vegas is too elite—they'll find all types of shops here. Make it a day. We live here in Henderson, NV, and we regulary visit Town Square. They have great shopping, good places to eat and a wonderful area for kids and adults to relax at an open park, as well as a playground with comfortable matting. When it starts to heat up here ( March/ April )- an area of the playground features a water park. The playground has a stage for kids to perform and pretend, as well as an exploring jungle gym. Yougurtland is yummy! The Rave Motion picture theatre has flavorings for the popcorn- check out the caramel-ot's addictive. Kabuki, the japanese restaurant is lovely. Most places have outside seatings. I love Francesca's Boutique that has everything you need for a quaint boutique and unique ideas. Teavana has samples for you to try in teas. California Pizza Kitchen has the best hummus and barley and pea soup- ooops yeah also great pizza. Give it a try- you won't be disappointed. I am a local resident and located at the east side, Town square is probably the best spot to hang out not only for kids but also for adults. Beside state of art movie theater, there is upscale Vegas nightclubs; my favorite one is Blue Martini and Yard House Bar and Restaurant, I would recommend this place for tourist who wants to get out of the busy strip.